Lots of great movies to look forward to. 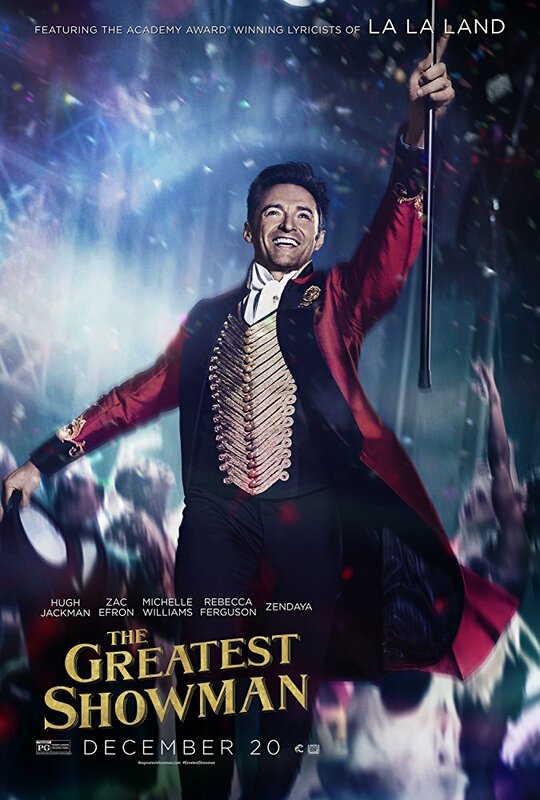 I hope to see The Greatest Showman soon (my sister loved it). And I’m intrigued to see Ready Player One on the screen, even if it’s different to the book. 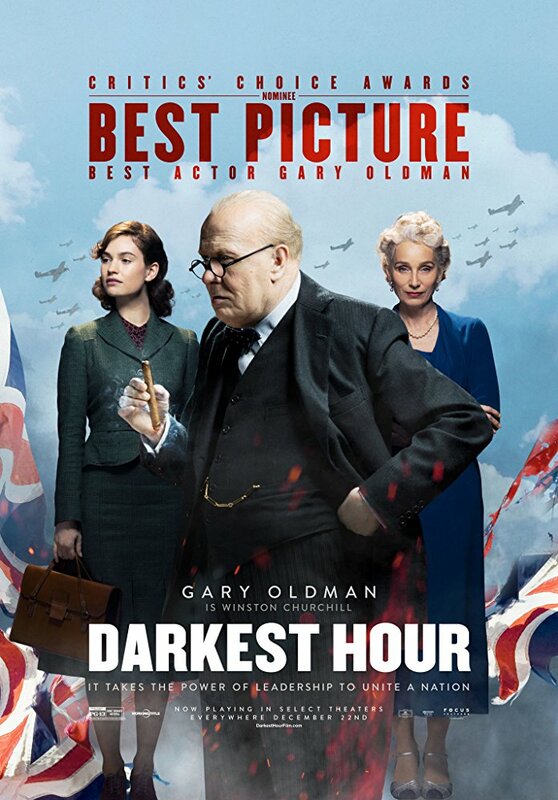 Yes to Darkest Hour too. Maybe our book club should watch the movie and report our thoughts on how it compared to the book! Nice list. The one I’m not too keen on is the Han Solo one. I like the character but I’m not sure about it. Yeah, we’ll see what they do with it. It can go either way. All these movies! And I knew about the Between Shades of Gray movie but I FORGOT (maybe they renamed it to not confuse it with 50 Shades of Grey HAHA). And I didn’t know they were making another Jungle Book movie? That will be interesting. I have a very similar post planned. There are several good-looking films coming out and my list will definitely look very similar to this (I love that we have such similar tastes in films). My most anticipated right now is Ready Player One. I picked up the book yesterday and can’t put it down. I can’t wait to see how Spielberg brings this novel to life. Great list! Super late to this post but ah well! I had no clue they were doing another Jungle Book adaptation, so soon after the last?! I just saw the previous one like a month ago, haha. The cast does sound interesting though, and I googled it after seeing it on your post and saw it might be darker so that intrigues me. I’ve definitely only heard good things about The Greatest Showman so need to see that sometime. I also want to see Pitch Perfect 3 because I don’t like a lot of comedies but those usually make me laugh. Oh and Ready Player One. I’m indifferent towards that one too but will likely be seeing it because Dave wants to. He read the book after I recommended it to him (well, I think he listened to the audiobook) and liked it so is interested in seeing it in the movie. I don’t remember the actual content of the film trailer I just remember I was meh about it so we’ll see. The Greatest Showman is totally on my list!!! And so is 12 Strong. There were just so many movies in the beginning of this year I felt like I couldn’t get to them all. 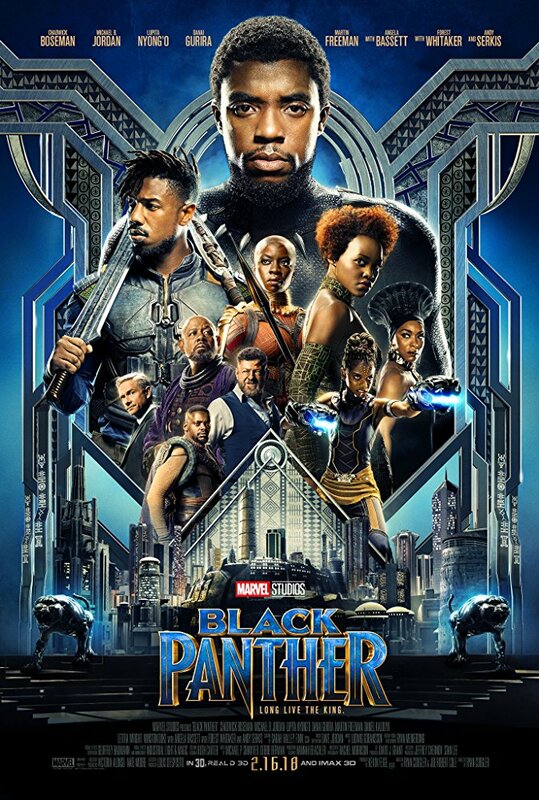 I did see Black Panther (because obviously I’m coming to this post late) and really, really loved it. I was hesitant about A Wrinkle in Time because I love the book so much but the trailers had me… less than enthused. I should have trusted my instincts on that one because even with moderate expectations I was disappointed. Infinity War – a world of YES!! I had my issues with Thor: Ragnorak but I’m still excited. 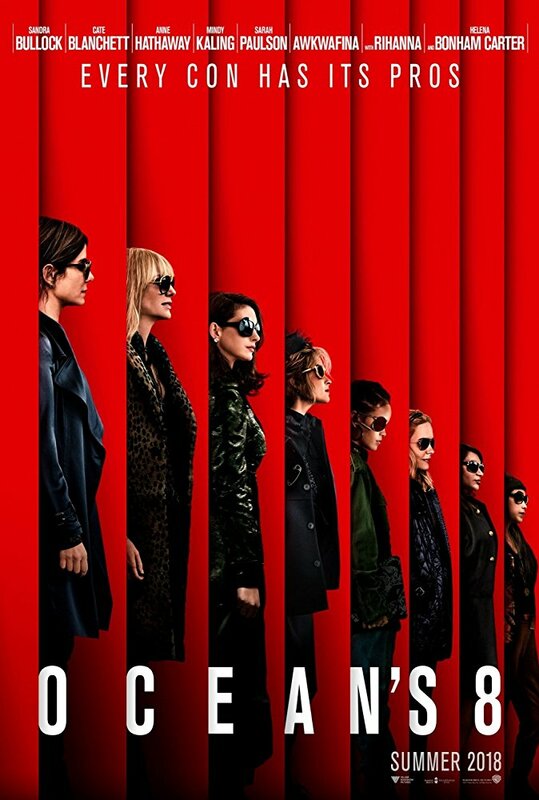 Ocean’s 8 looks like a ton off fun. I’ll go see Fantastic Beasts but I have to confess I’m not super excited about it. Ant-Man and Wasp being *after* Infinity War should be interesting. Like how will it fit into the aftermath of whatever Thanatos brews up? 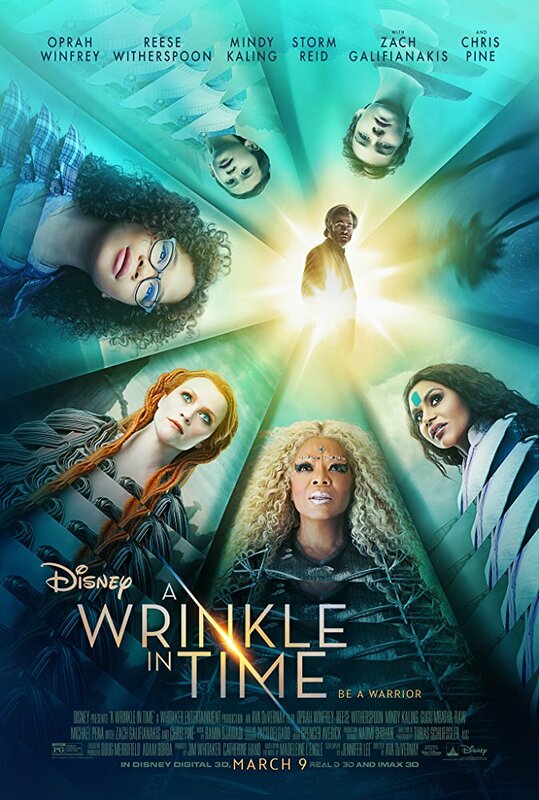 I listened to a podcast review of A Wrinkle in Time that convinced me to not go see the movie. It sounded pretty terrible, which is unfortunate. Someone told me that Ant-Man and the Wasp is actually supposed to take place before Infinity War. I’m not sure if they’re going to bother to clarify that for the general audience or not. Oh, and I wanted to add that while I wasn’t super into the first Fantastic Beasts movie, I do think the new one looks a lot more interesting, so here’s hoping. Plus, it has Jude Law as Dumbledore, which is amazing. That’s so odd that Ant-man and Wasp will be before Infinity War. I don’t think Marvel has ever done that where the movies aren’t sequential. That’ll be interesting. I’m definitely excited about Jude Law as Dumbledore. The thing that got me about the first Fantastic Beasts was the contrasting tones with the REALLY dark story and the light and fun chasing beasts story. Part of that I think was the change half way through to go from a stand alone to a series. So I think the second one won’t have that same problem, which is promising.